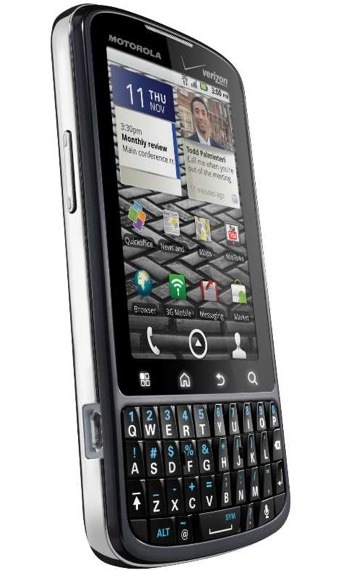 Want an Android Smartphone but with a BlackBerry-like profile? 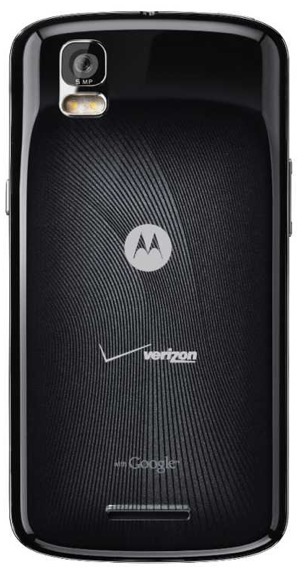 Motorola has you covered with their release of the Motorola Droid Pro. This enterprise-class sports a 1GHz processor, 5 megapixel auto-focus camera, 3.1-inch display capacitive touchscreen display, portrait-style keyboard and probably most important of all, dual-mode CDMA/GSM chip for worldwide roaming. No need to switch phones when traveling overseas, all you need is the Motorola Droid Pro in your pocket and you’re good to go. 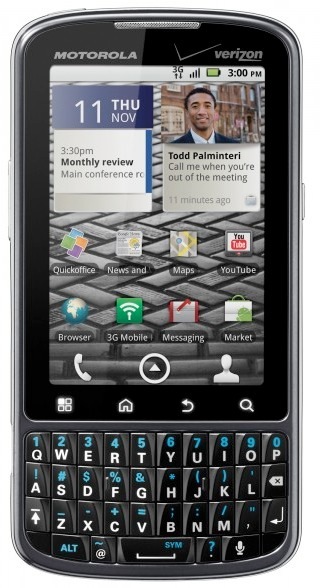 The Motorola Droid Pro is set for a November release on Verizon Wireless. No word on pricing yet. SAN FRANCISCO, Oct. 5 /PRNewswire/ — From CTIA Enterprise & Applications™ 2010, Verizon Wireless, the company with the nation’s largest and most reliable wireless 3G network, and Motorola, Inc. (NYSE: MOT) today unveiled DROID PRO, a new, powerful, stronger and faster solution designed to meet both business and personal needs. The first Android™-based smartphone optimized for business use, DROID PRO is also a global-ready Android smartphone from Verizon Wireless, allowing customers to enjoy wireless voice service in more than 220 countries and data coverage in more than 200 countries. DROID PRO meets employers’ and employees’ needs by addressing the productivity tools businesses require, including corporate connectivity and security; full push corporate e-mail with corporate level security; unified calendar with additional work features; pre-loaded Quickoffice Mobile Suite, a powerful 1 GHz processor; 4 GB of memory (2 GB internal; and 2 GB removable) and a QWERTY keyboard designed for speed and convenience. * DROID PRO will be available at www.verizonwireless.com and in Verizon Wireless Communications Stores in the coming weeks. Pricing will be announced closer to launch. * For more information about Verizon Wireless products and services, visit a Verizon Wireless Communications Store, call 1-800-2 JOIN IN or go to www.verizonwireless.com.